Baking is changing. Many people no longer want traditional cakes loaded with sugar, butter, cream and chocolate but they do still want treats. Wanting to get healthier in the run-up to her wedding, Emma Hollingsworth cut out gluten, sugar and other allergens, qualified as a certified health coach (Institute for Integrative Nutrition) and developed a passion for creating healthy treats. This in turn led to a weekly farmers’ market stall in Hampstead and in 2017 her blog won ‘Best Recipe Blog’ at the Health Blog awards. 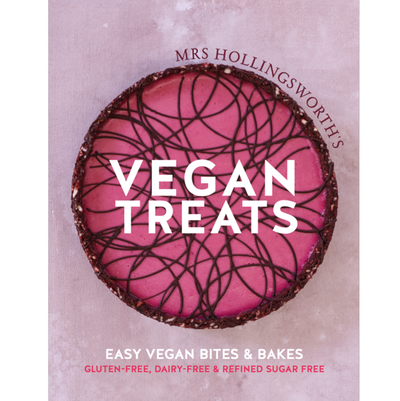 She is now developing her Mrs Hollingsworth brand by collaborating with other influencers and well-known health brands such as Ethos for whom she is the sole raw dessert supplier, delivering over 500 desserts a week. She creates bespoke cakes to order, runs workshops and hosts and caters press launches for companies such as Sainsbury's, Accessorize and Anya Hindmarch. Emma lives in London with her husband and daughter. 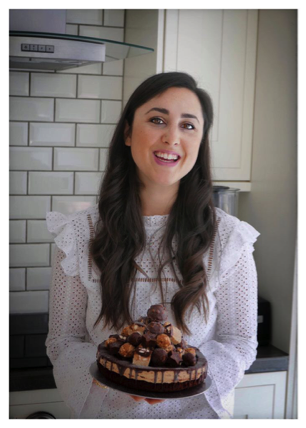 Her first recipe book of healthy sweet treats was published in 2019. Like Mrs Hollingsworth on Facebook.